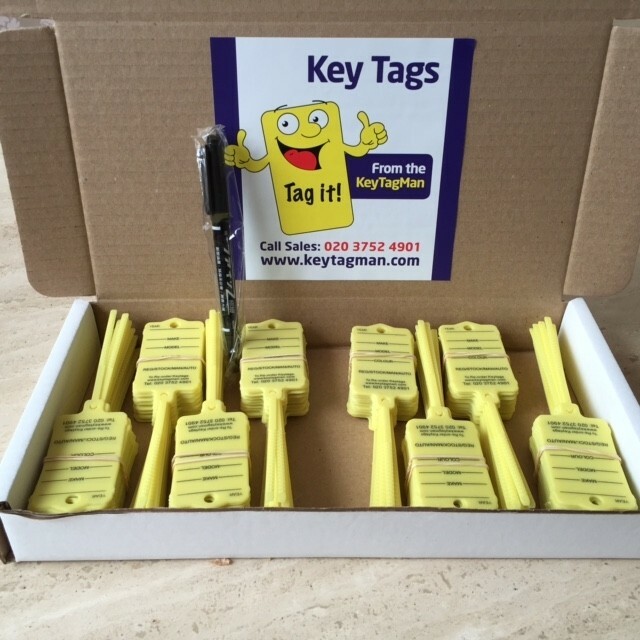 Easy to use to identify your vehicles, comes with all-in-one self-tie key loop. 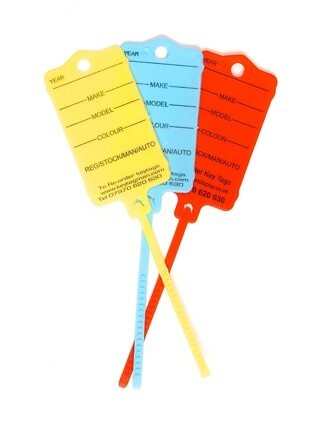 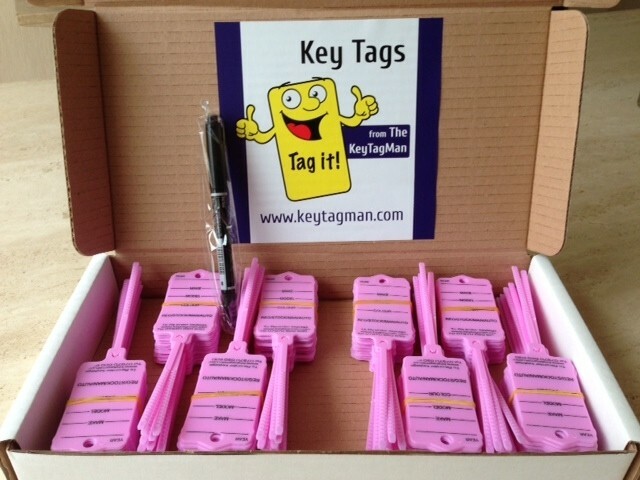 Self-Tie Vehicle Identification Key Tags Size is 63 x 36 x 150 mm. 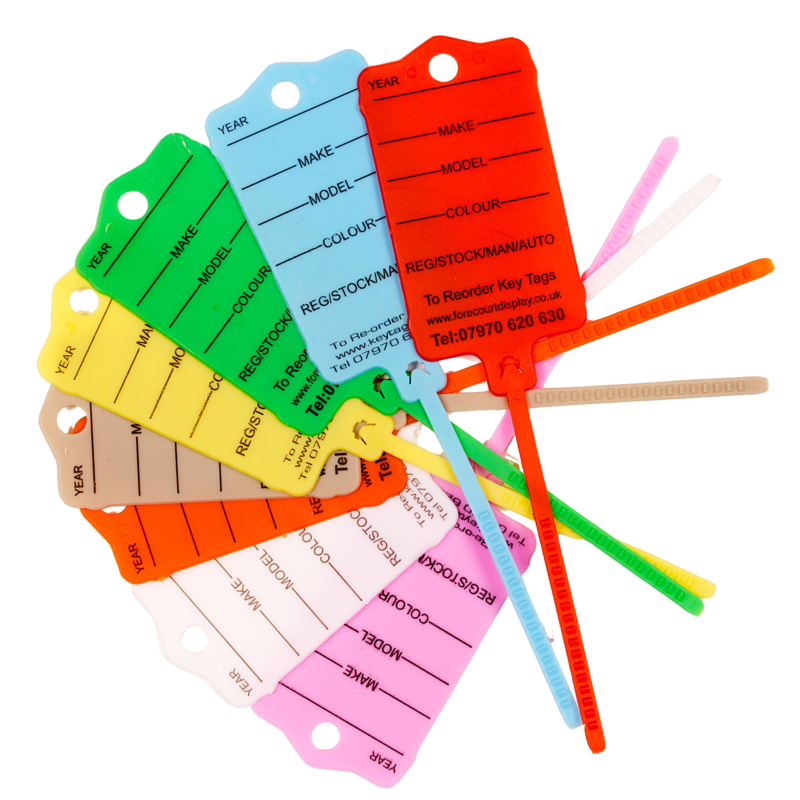 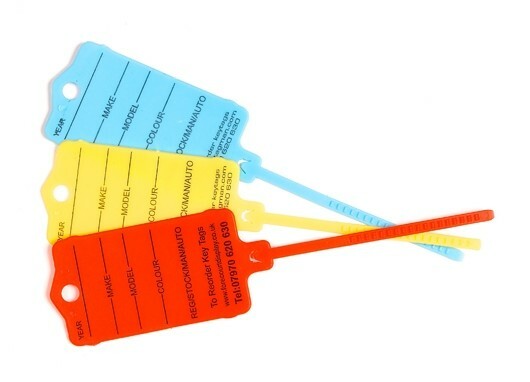 Easy self-tie plastic key tags are suitable for the organisation and identification of most vehicles making stock control easy for the automotive industry.